Diet It Up: Et Tu Tofu? I’m here to support poor neglected tofu on its mission to become a widely accepted source of healthy vegetable protein. What I like best about tofu is its chameleon-esque ability to transform into whatever you want it to be. It takes on the flavors of whatever sauce, spice or marinade you’re using in your dish. I came across this recipe for a TOFU CAESAR SALAD in Food & Wine mag. I thought it was such a clever use of the ingredient. 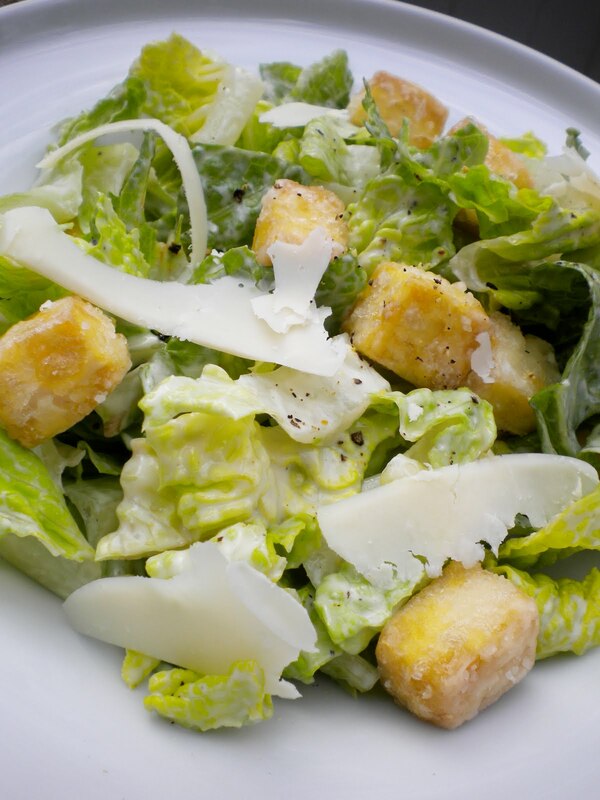 Silken tofu is used as the base for a creamy Caesar salad dressing instead of mayonnaise. Firm tofu is pan fried in vegetable oil to stand in for traditional bread croutons. It may sound a little odd. But this dressing is genius. I love creamy dressings, but I almost always shy away from them because of the exorbitant fat content. Not only does this recipe eliminate a ton of the saturated fat, but it also adds a boost of protein that helps to keep you full longer. The addition of tofu turns a side salad into a main dish. 1 - Make sure the tofu is as dry as possible. Before I cut the block into cubes, I wrapped the tofu in paper towels and pressed it between two plates to drain out most of the moisture. 2 - Use a very shallow layer of vegetable oil in the frying pan and made sure to drain the “croutons” really well on paper towels after cooking. Salt them right after they come out of the oil so the salt sticks. 3 - This may seem like a great leftover-friendly meal, but it’s really best in a make-and-eat setting. Give tofu a chance to play with the grown ups. It’s a great alternative to the tried and true chicken breast. Sick of snowflakes? Try some pancakes.